Dr. Cohen and her team of associates at Dr. Eliana Cohen Psychology are proud to offer a variety of services ranging from individual therapy to mood abuse therapy. If you or a loved one is looking for help through therapy, contact us today to schedule an appointment. Dr. Cohen and her associates are more than happy to help. 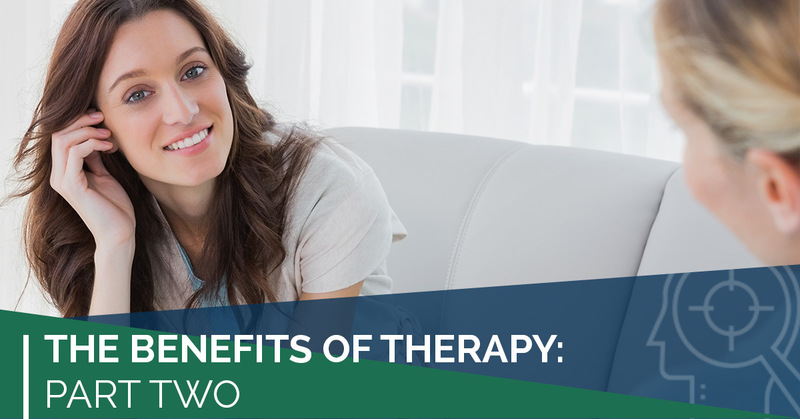 In part one of this multi-part series, we talked about a few of the benefits of therapy, and in this article, we will continue to look at the multitude of benefits that therapy can provide. Continue reading to learn how therapy can help both your physical and mental health. Many people grew up in households where nobody talked about their feelings. If something bad happened, it was pushed aside, or if you felt that you were being treated unfairly, you didn’t say anything. In our previous blog, we mentioned how repressed feelings will eventually lead to an explosion, but with therapy, you are able to talk and work through those emotions. By going to therapy, you will be able to help your future children grow up in a household where it’s not only okay to talk about their feelings, but it’s encouraged. You want your child to know that they can come to you if they feel like you’re favoring their sibling, or if they are experiencing feelings of depression. If you and your children live in an open environment, you will both live happier lives. People self-medicate in order to make themselves feel better about their pain. Unfortunately, self-medicating doesn’t help the problem go away, it only masks it temporarily. Going to therapy will help you talk about your problems and work through the underlying cause. In turn, this will eliminate the need to self-medicate. Some mental disorders, such as depression and anxiety, are often accompanied by physical symptoms such as fatigue, headaches, or problems with sleeping. Going to therapy on a regular basis will not only help your mental health, but if your mental disorder is coupled with physical restraints, therapy can resolve those issues, too. Physical symptoms are often your body’s way of dealing with pain. If you repress your feelings and keep them locked away from conscious thought, physical symptoms are the way your body reacts. At Dr. Eliana Cohen Psychology, we strive to provide our clients with the support they need to work through their issues. If you or a loved one is suffering from a mental disorder, or just needs someone to listen, Dr. Cohen and her associates are more than happy to help. Contact us today to schedule an appointment. We look forward to meeting you soon.